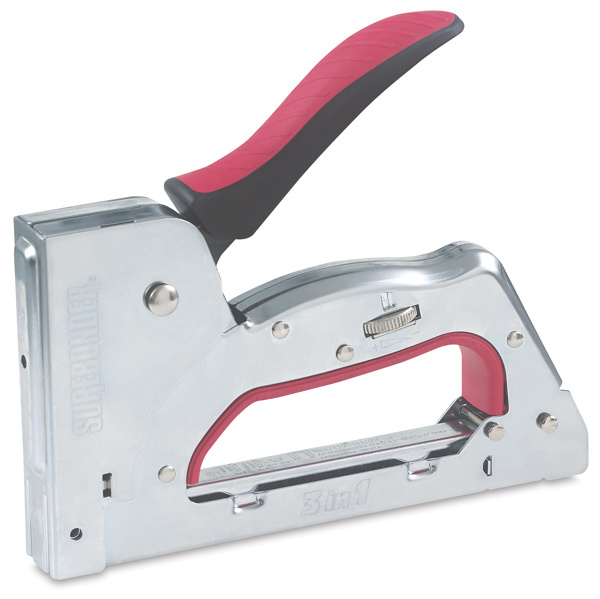 This heavy duty, three in one staple gun will set staples (1/4", 5/16", 3/8", 1/2" and 9/16" lengths), pin nails, and brad nails. Features include steel construction, black handle grip, drop in staple loading, and a convenient viewing window that shows you when you need to reload. Use Surebonder #4 or Arrow T50 heavy duty staples, 9/16" brads, and 9/16" pin nails.